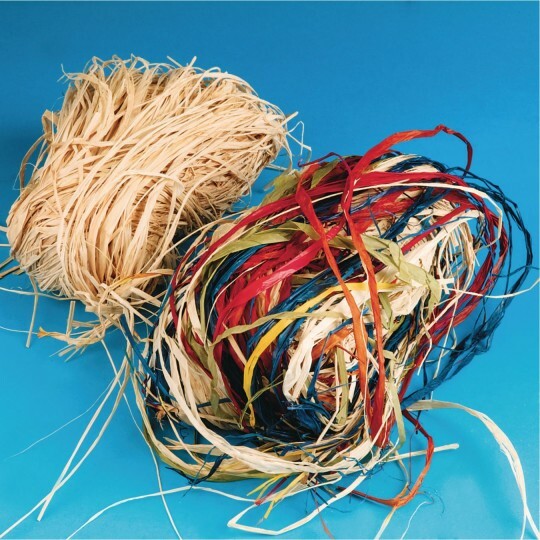 Natural palm fiber perfect for weaving or as an accent to craft projects. In poly-wrapped 12-oz. packs. Has been treated with a flame retardant. Just what you'd expect. We use it for making pencil brooms. Worked great! Package holds a ton. We used this project to make hula skirts for American Girl dolls at a recent Girl Scout day camp. The raffia was easy to cut and tie. Girls loved this project!